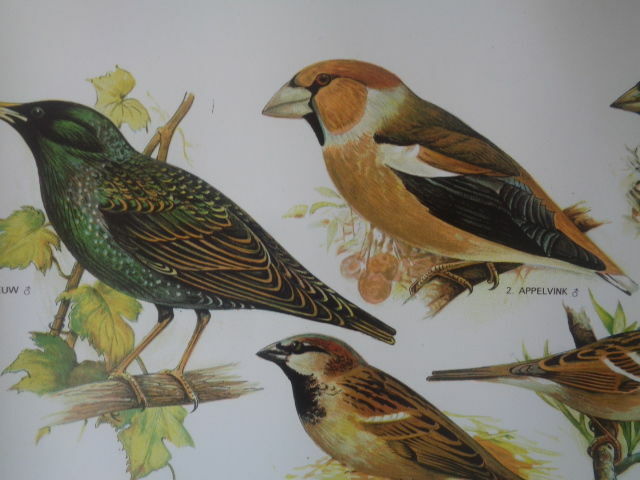 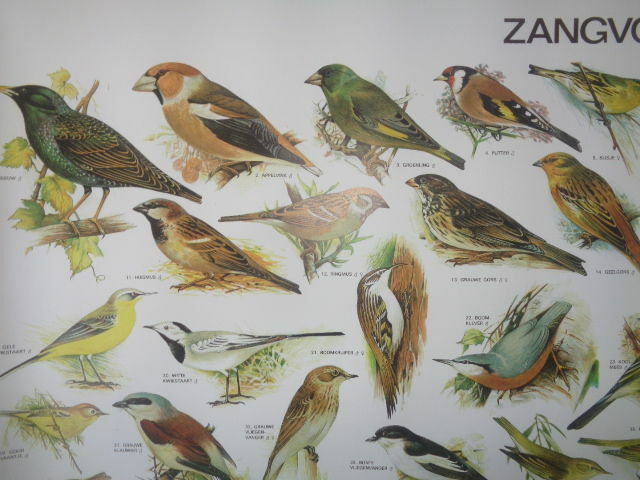 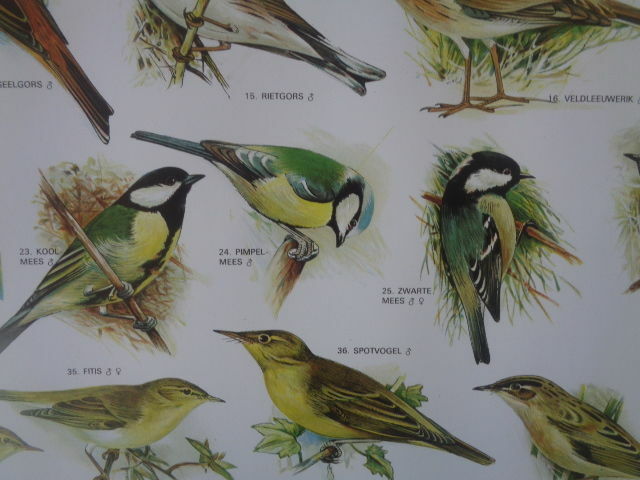 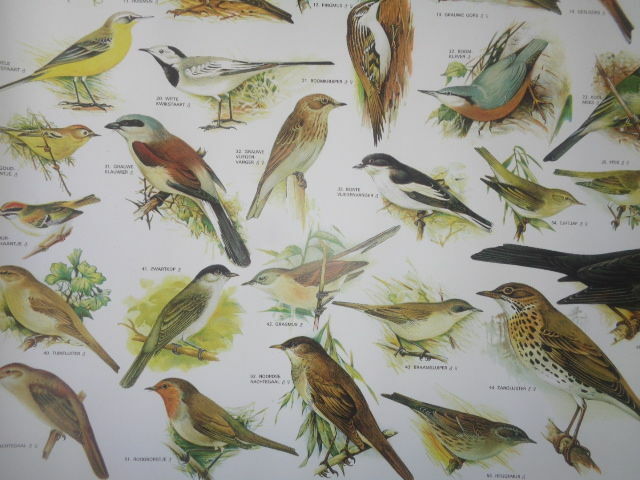 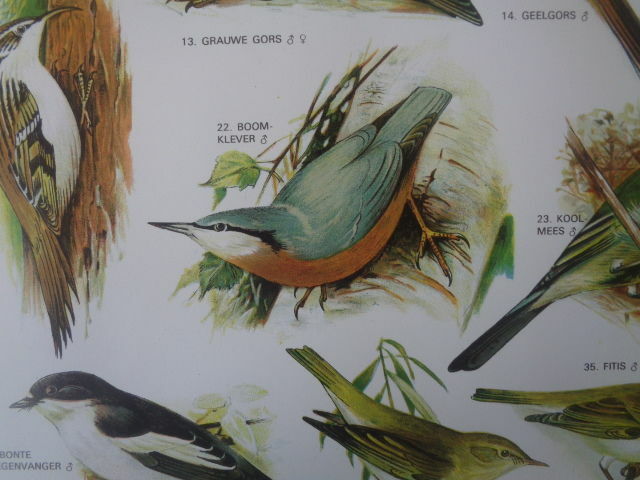 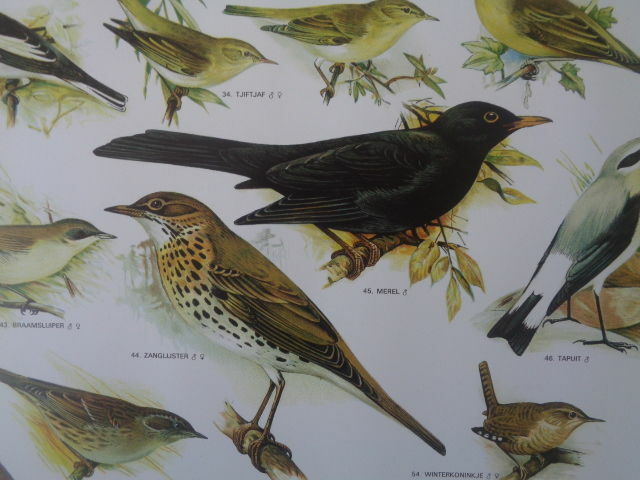 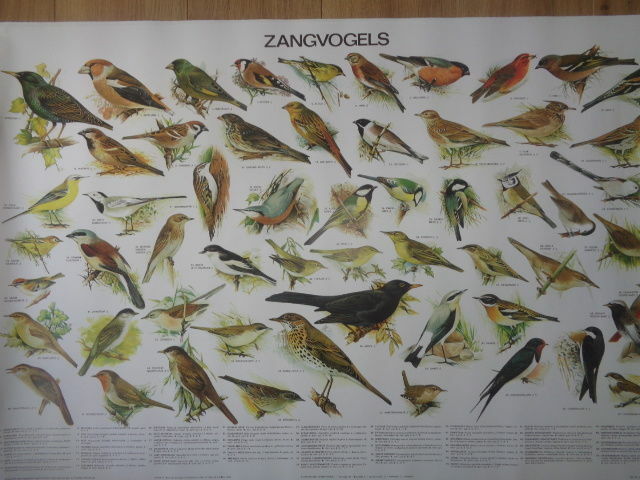 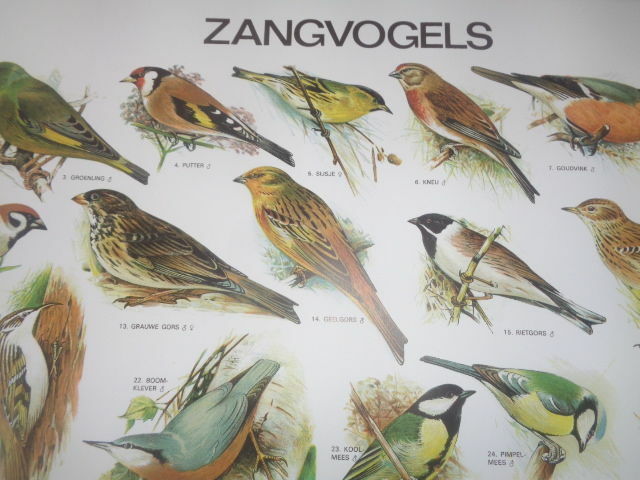 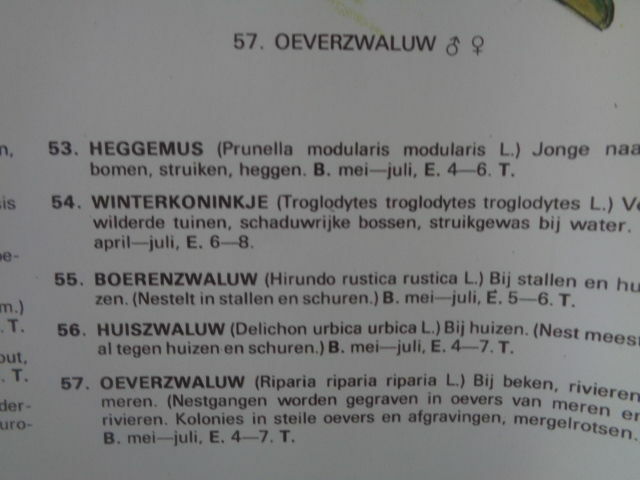 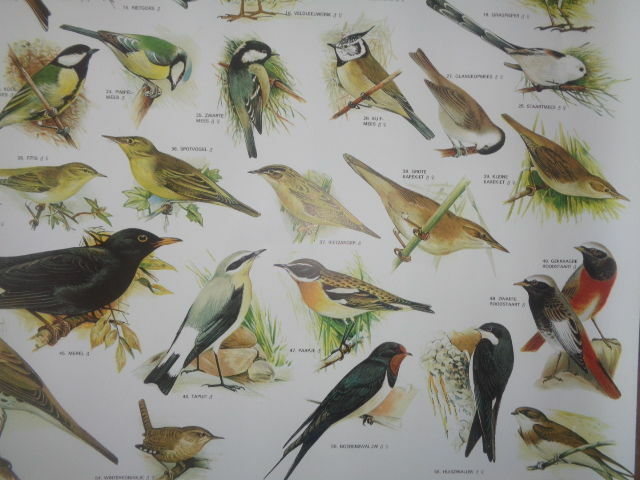 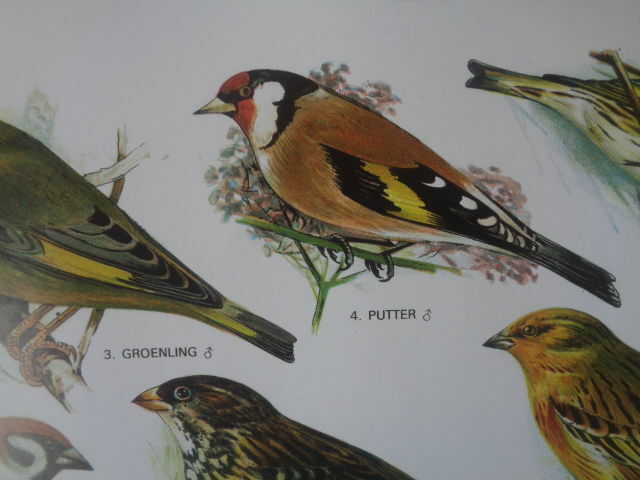 Very nice school poster with Songbirds on this poster 57 birds are depicted that live in The Netherlands. 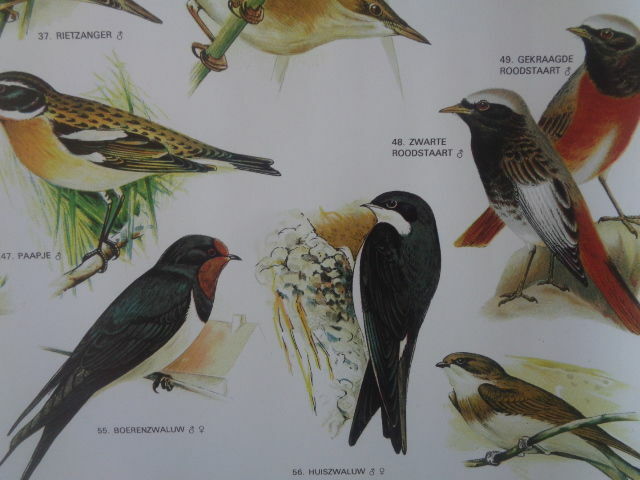 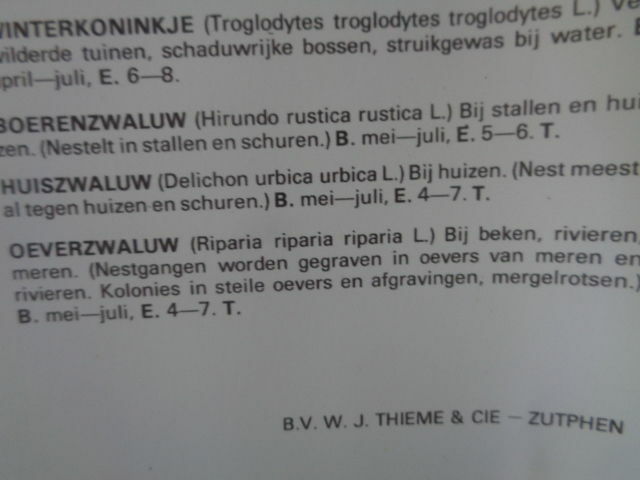 The Netherlands, print on paper, dimension: 100 - 70 cm. 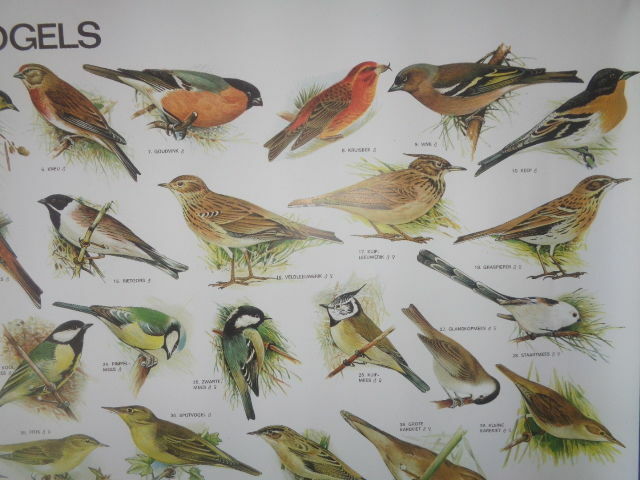 Robin, several swallows, chickadees, nightingale, garden warbler, short-toed tree creeper, crested lark, putter, green finch and many others. 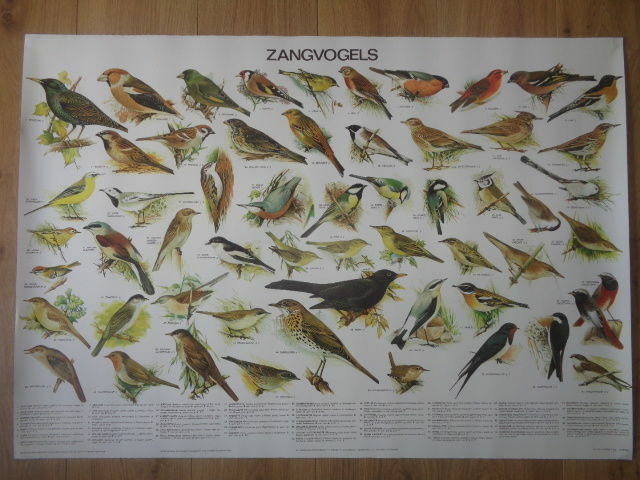 The poster will be well packaged and shipped by registered mail.